What are other AS/RS Shuttle Systems? 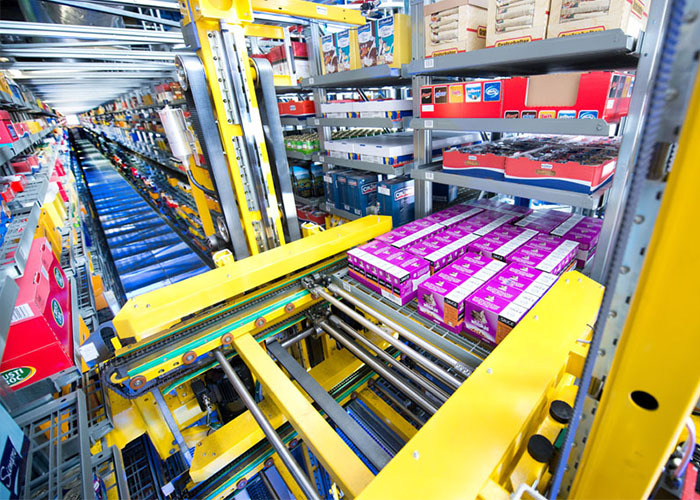 The multi-level shuttle system for high dynamics and efficient pallet storage. 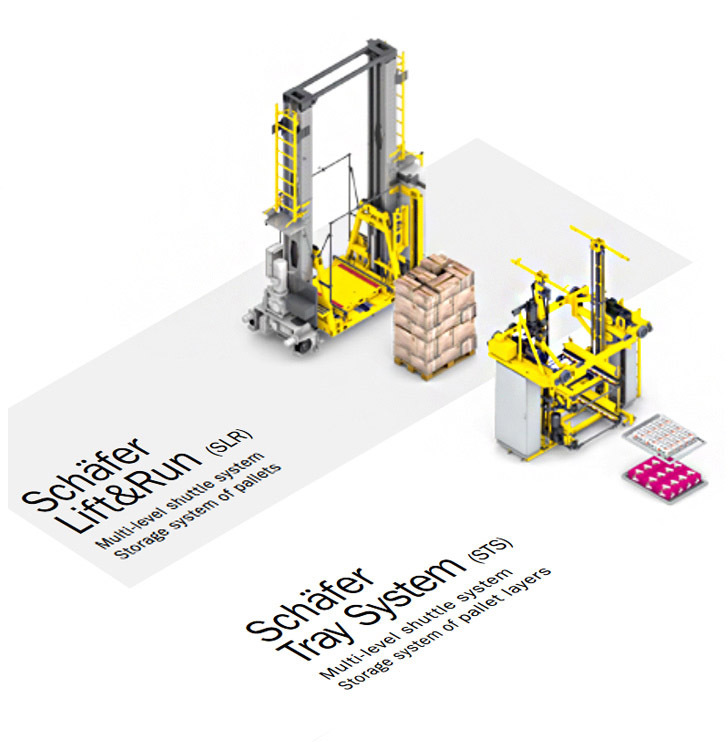 The Lift&Run shuttle system (SLR) by SSI Schaefer is an especially economic solution for highly dynamic pallet handling in a channel storage system. The specialty of the system: an SLR storage device consisting of a transfer carriage and lifting device for the Schaefer Orbiter® System (SOS), an extremely flexible load handling device. The multi-level shuttle system for optimum storage of pallet layers in racks with minimal free space. 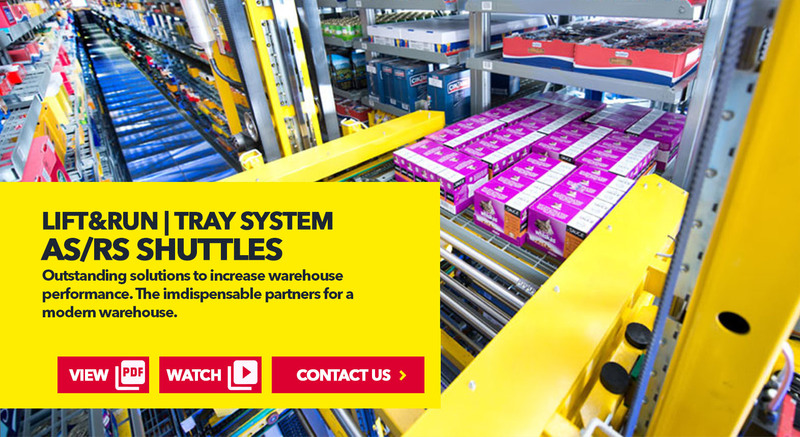 The STS is a system that is used to store entire pallet layers on trays and pick single packaging units. By grouping several STS vehicles on top of each other, the warehouse can be used very efficiently and high throughputs can be achieved. Two load handling devices with a pulling device are installed on each vehicle. This results in very short load cycles and minimal free space is required in the rack. Since it runs on two rails, it doesn‘t require any upper guide rails. It is also possible to use many such devices on top of each other in order to scale the SLR to customer-specific requirements. 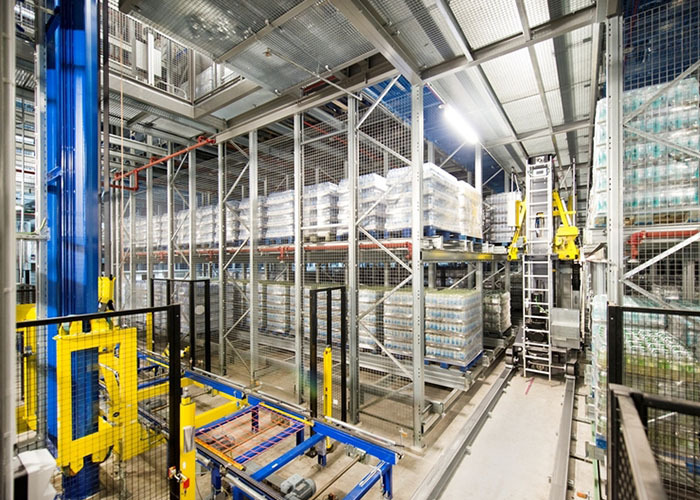 When stacked, the feed-in and retrieval of the pallets is done via vertical lifts. The SLR and lifts work together to form a system where the storage capacity can be effectively heightened and the efficiency of the logistic solution can be increased. 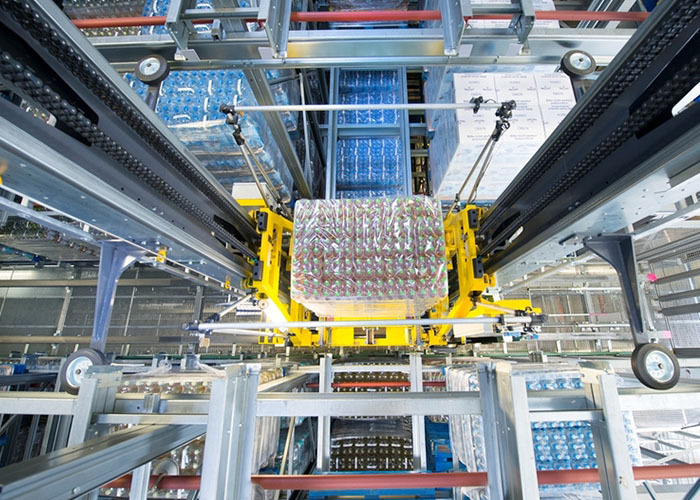 The Schaefer Lift&Run System applies the logistics matrix principle in pallet handling. Thanks to high dynamics, small space requirements and efficient use of energy, it is an interesting alternative to the common pallet SRM for many applications. The Schaefer Tray System (STS) is a system for storage and picking of complete pallet loads on trays. With multiple STS vehicles on top of each other, the warehouse can be efficiently used. Each STS vehicle has two load handling devices with a pulling jig installed. As a result there are ver y short cycles and minimum requirements for empty space in the racks. The trays are typically supplied via STS lifts to transfer places in the rack. Based on a strategic alignment of the single components, this storage system allows for highly dynamic, highly available, and efficient use as well as very high throughputs. The rack vehicle is delivered in a stable transport aid made of steel which ensures a safe transport and facilitates the installation of the STS vehicle in the rack. Watch SSI SCHAEFER Shuttle Systems in action! 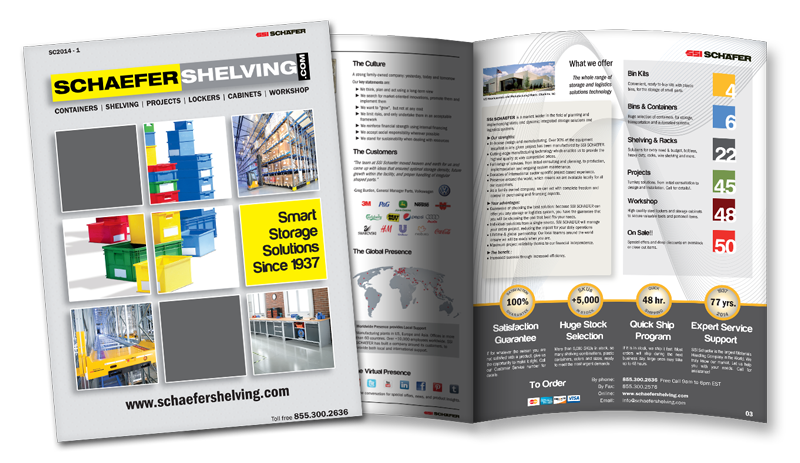 SSI SCHAEFER provides ideas, concepts and holistic solutions for complex logistics management. Being a systems supplier with international know-how and a global presence, SSI SCHAEFER is your competent partner. With engineering ser vices, mechanical engineering, steel construction and control engineering from one source, as well as our own IT and software development department, harmonious interaction is guaranteed. 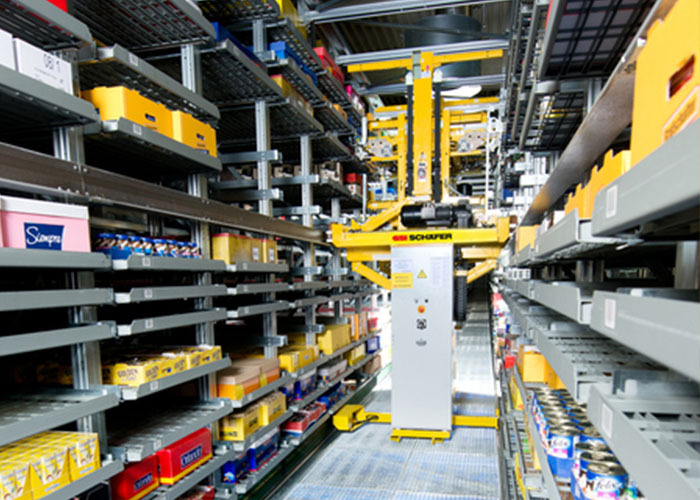 Automatic Storage and Retrieval Machines by SSI SCHAEFER are an important part of a cost-effective logistics chain. Anywhere optimized warehousing with quick transport of material and short access times is required, we offer innovative Storage and Retrieval Machines that meet customer requirements and reduce warehousing costs. Our in-house manufacturing guarantees unchanging quality and reliability.